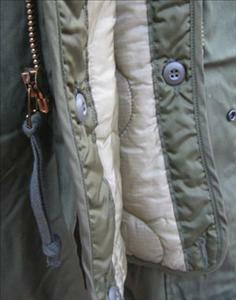 M65 Original unworn fishtail Parka. These are the classic button off hood fishtail. 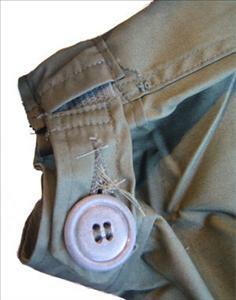 Button out lining and sized as if you were an American marine. These are all unworn, New US Army surplus. This Parka is starting to go the way of the original M51 in that they are now starting to finally run out, only medium now available. Used ones occasionally available, please enquire if interested. Bought one of these directly from JTG last July on a trip to Brighton. First visit to the shop and can’t speak too highly of the care and advice I received. Thanks for that… really great stock and staff! Good parka, but a bit on the thin side compared to my M65. However, I was looking for a lighter Spring/Summer parka and this fits the bill. However, if you’re planning any ride outs in the winter make sure you’ve got plenty of layers underneath, or swap the liner for an M65 one which is longer and warmer. 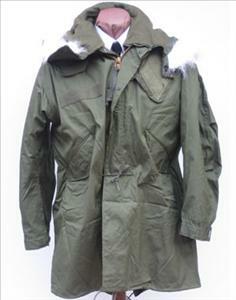 Having said all that, it’s one of the best looking parkas I’ve had (I’ve been a mod since 1979) and the price is fair. Go on, you know it makes sense! Hi Ben, thanks for a most comprehensive review, we always appreciate it. Hopefully see you again in the shop. I brought my Parka over 10 years ago and it’s still the best winter coat I’ve ever worn! Be aware that they are HUGE but cover a suit nicely I’d strongly advise trying one on before you buy it. Thanks for the comments Sean. We constantly stress the sizing on these items, grateful for any help in persuading people that these really are big. Unlike most of our clothes which really are small! I managed to get hold of an extra small one of these and it fits perfect, for a parka anyway as they do fit big. I’m 5ft 6in and 36-38 in chest. Very good quality and very warm. Also the wire in the hood is geart so you can make it suit you for best protection. Had to by mine from Ebay as they had sold out in store, but this is a great parka. Not as good as JTG’s m51 fishtail, but definatley a great parka if your looking for something not as authentic or with different hood…but if your not, check out their M51!